I’ve spent the last couple of days discussing the races and events that I want to enter in 2015. Stuart is a firm believer of quality over quantity, whereas I want to enter everything! I quite enjoy doing cross-country running and usually do some of the local cross-country series (CC6) but Stu doesn’t want to risk injury; also he is leading Marafun training runs on Sunday mornings and these clash with the CC6s, so we have agreed to do these runs together. I am going to eat healthy food for 20/21 meals and assess my progress at the end of 100 days (14th April). I hope that I will lose 14lbs (6.5kg) in that time. I will record my progress on Give It 100. I am going to work hard on my speed between now and 26th April by attending Thursday night track sessions. I will also run on Monday evenings. My aim is to complete Southampton HM in under 1:55, with under 1:52:19 as my ultimate goal as that would be a PB/PR. 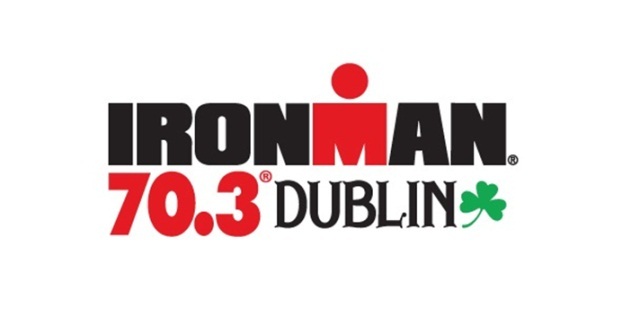 I want to achieve a PB/PR at Ironman Dublin 70.3 on 9th August. I completed Weymouth Half in 7:24. I think that a time of under 7 hours is possible if I work hard on all three disciplines. I will train for 14 weeks from 3rd May. I want to complete the Scilly Swim Challenge on 5th September. To do this, I will need to go open water swimming at least once a week between June and September. I will speak to my coach about how to train for an endurance swimming event such as this. Wednesday: Rest day. (Maybe lunchtime yoga). Sunday: Long run. Bike ride. HRRL – this is a league of 12 races for local club runners. The events are open for any runner to enter, but only the results of local club runners are counted in the league. RR10 – this is a spring/summer local off-road running league. These races are free for local club runners and are 4-5 miles long. Dates for 2015 have not yet been confirmed. parkrun – this is a free, weekly, timed 5k event. I will be adding them in accoridng to my training schedule, but I suspect that I will need to prioritise swimming over running for much of 2015. Eastleigh aquathlons – this is a series of races hosted by TryTri events on Thursday evenings. Entry to them is free for SUTRI members. Stu and I are also going cycling in Japan with a friend in early April. We’re expecting to ride about 60-70 miles a day, which will be tiring, but good training. 2015 is going to be a busy year. What have you got planned? Happy New Year to you too 🙂 One of the (minor) problems that I have is that a lot of the events that i want to do are popular, so it’s important to register early – Ironman Dublin 70.3 sold out to people who had pre-registered, just a few hours after it opened and the Scilly Swim Challenge also sold out really quickly. On the day that I’m doing Southampton Half, my partner is doing London Marathon… I’d love to do that, but I’m not fast enough (yet) to qualify for Good for Age and I’ve never been lucky in the ballot. It’s amazing how some events can sell out so fast – within hours! I’m sure it’s going to be a fantastic year! This is a great post. I try to do this kind of planning each year. Although I’m not planning even half the races you are, it is exciting looking forward to the new year and planning accordingly. I’ll look forward to reading how you get on. Some great goals there! That Scilly swim challenge looks amazing, but I don’t think I’m quite up to swimming that distance! Lots of my clubmates are doing Dublin 70.3. I’m still considering the Southampton Half, I’ve not been to Southampton since I graduated in 2006, so it could be interesting to go back to my old uni town for a race! I’m not entirely sure that I’m up to swimming that distance, but I’m going to give it my best shot. It’s frustrating that I’m not allowed to swim until late January (laser eye surgery), but after that I’m going to be spending lots of time in the pool!